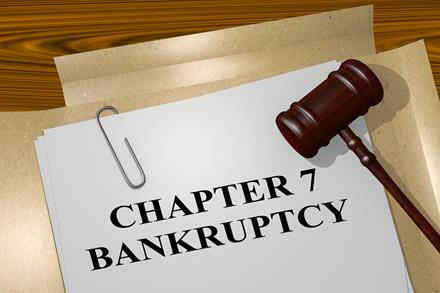 Why is Chapter 7 Called a “Liquidation” Bankruptcy? Home » Chapter 7 » Why is Chapter 7 Called a “Liquidation” Bankruptcy? If you’re considering bankruptcy and have started doing preliminary research, you may have come across the fact that some people refer to Chapter 7 bankruptcy as a “liquidation” bankruptcy. In many cases, this term is thrown out there with little explanation, leaving many consumers confused. In fact, in the Eastern District of Missouri, more people file for Chapter 7 than all other forms of bankruptcy combined. If you’re curious about why people call Chapter 7 a liquidation bankruptcy, here’s the simple answer: in Chapter 7, all of a debtor’s non-exempt assets are sold (or “liquidated”), and the proceeds from the sale are used to pay back creditors. Once the trustee has sold all of the bankruptcy estate and paid creditors back as much as possible, the court discharges the remainder of the debtor’s dischargeable debts, meaning that the debtor is under no legal obligation to pay them back. Many people who learn the basics of Chapter 7 bankruptcy immediately are worried that if they file they will lose everything. Fortunately, this is not the case. As mentioned above, only a debtor’s non-exempt assets are liquidated, and the exemptions available in Missouri allow people to keep a significant amount of assets and equity. There are exemptions available for cash, work tools, vehicles, personal property, and the equity in your home. In fact, the United States Courts’ website indicates that most Chapter 7 cases involving individuals are “no asset” cases, meaning that the person filing had no assets that were non-exempt. In other words, they were able to take advantage of the benefits of bankruptcy without having to part with any of their assets. What Kinds of Debts Can Chapter 7 Eliminate? To determine exactly which of your debts could be eliminated in Chapter 7, you should speak to a lawyer in depth about your financial situation. Typically, if you have secured loan like an auto loan and include that debt in your bankruptcy, you’ll have to return the collateral to the lender. If you’d like to keep that collateral instead of including it in your bankruptcy, you have the option of reaffirming the debt. This means that you can continue to file for bankruptcy, eliminating your other dischargeable debts, while keeping certain non-exempt assets. Of course, in order to do this, you’ll need to keep up with your regular payments and stay in good standing with your creditors. If you are having trouble keeping up on your financial obligations, you should speak to a lawyer as soon as you can. 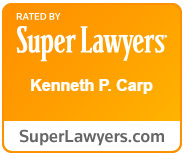 To schedule a free case evaluation with Kenneth P. Carp, call our office today at (636) 947-3600 or send us an email through our online contact form. Will you Lose your Property in a Missouri Bankruptcy?